Residential designers incorporate the work of interior decorators with additional skills such as sketching floor plans for renovations. Residential designers understand how form and function work together to make pleasant living spaces. What Do Residential Designers Do? In addition, residential designers may be required to work with architects or builders to create floor plans for new or renovated spaces. 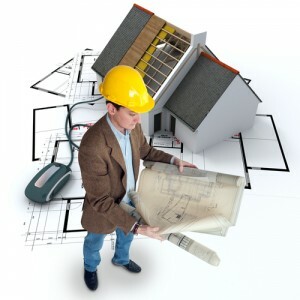 While interior designers focus primarily on decorative elements, residential designers must have extended knowledge of building codes, materials used in construction, and basic plumbing and electrical techniques in order to successfully plan renovations and new additions for clients. What Type of Degree Does a Residential Designer Hold? Most interior decorators have a bachelor’s degree, according to the Bureau of Labor Statistics. Some vocational schools offer two-year or certificate programs in residential design, but these are usually useful only for entry-level positions. In order to become a full-fledged residential designer, most professionals seek higher degrees; some even have master’s degrees in interior design. Most states limit the use of the term “interior designer” to those who are certified. The National Council for Interior Design Qualification offers certification to those who want to meet state requirements. In many states, non-certified interior designers can work as decorators or designers but they must not state that they are certified or licensed as interior designers. In other states, there is no qualification for licensure and anyone can hold himself or herself out to be an interior designer. How Much Do Residential Designers Earn? The Bureau of Labor Statistics lists the median annual wage of interior designers as $46,280. However, those who work in various specialization areas may earn more or less than this amount. Designers who work with architects are engineers often have more knowledge and training, and earn a median salary of $51,990. Those who work in specialized design services such as interior design firms earn a median salary of $45,280. Those working in the construction field earn $44,350, while those who work in home furnishing stores earn $40,320. The lowest-paid group of designers works with building material and supplies dealers and earn a median salary of $38,720 per year. What Is the Job Outlook for Residential Designers? The job field seems to be promising for residential designers for the next decade. According to the Bureau of Labor Statistics, employment for interior designers is expected to grow by 19 percent between now and 2020. Although new construction has declined in recent years, this decline has been met by a corresponding growth in home owners who have elected to renovate their present spaces. In fact, renovating and staying in a home has become the best option available for many who simply cannot afford a new place, and many homeowners are choosing this option. While employment in the construction industry may not grow very quickly, jobs with specialty design firms is expect to grow by 27 percent, reflecting the interest in home improvement and renovation. Jobs will be more plentiful in population-dense areas and in areas with higher average incomes. However, some residential designers specialize in particular areas of design, such as kitchens or bathrooms, and may travel over large areas working for a particular company or firm. The Bureau of Labor Statistics shows the breakdown of jobs in the interior design field. According to this source, 27 percent of all designers work in specialized design services; this means that they work for interior design firms or start their own design businesses. Another 14 percent work in architectural services, consulting with builders and engineers on design projects. Eight percent work in furniture and home furnishing stores, four percent in building material and supply dealer stores, and four percent in construction. What Does It Take To Be A Residential Designer? Most residential designers discover early in their studies that they love working with designs, colors, and other elements of interior decorating. Residential designers should have some innate artistic ability; however, the ability to draw and design is not as important as the desire to improve design skills. Some students who are not very good artists have succeeded as residential designers because of their attention to detail and their work at improving their skills. On the other hand, some very good artists are not good residential designers because they rely too heavily on their natural ability. Residential design offers a great opportunity to use your artistic skill and love of design to help others create functional and fun living spaces.